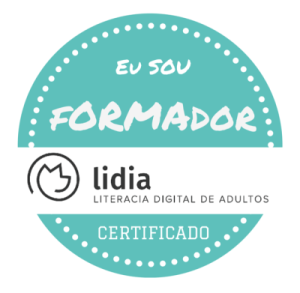 The LIDIA project, promoted by the Institute of Education, University of Lisbon, aroused from the Digital Literacy and Inclusion Prize awarded by the Foundation for Science and Technology (FCT), while patrons of the ICT Network and Society. This project presented a proposal of extending the work conducted from 2011 to 2014 by the Teachers ‘ Aids on Creating Content for Learning Environments (TACCLE2) project. The TACCLE2 project involved eight partners from seven countries (Spain, Belgium, Italy, United Kingdom, Portugal, Romania and Germany) in the creation of training materials intended for teachers, aiming the integration of information and communication technologies in different curricular areas and in all schooling levels. The award allowed researchers to extend the scope of the work, for one year, this time producing training materials and resources to support inclusion and digital literacy of adults. 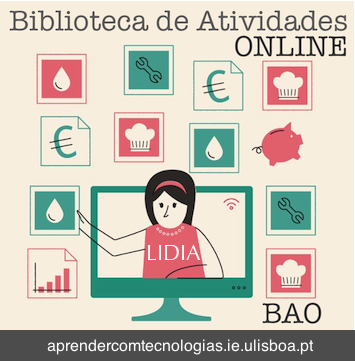 In a perspective of lifelong learning, the LIDIA project adopts a broader view of the progress made and the problems identified in Portugal in the field of education, adults training and qualification, regarding ICT, and aligns its action within the framework of recent social responses for promoting literacy, digital inclusion and qualification of the Portuguese population. The LIDIA project assumes as a strategic objective the development of innovative ICT-based content, materials and activities with technologies tailored to the life needs of a “digital society”, aimed at raising the awareness and providing training to trainers and other social intervention technicians who work with those adults who are more vulnerable to info exclusion. In this way, the project seeks to contribute to the creation of conditions that, based on the principle of isomorphism (homology of processes), ensure that adults who are more vulnerable to digital exclusion can develop those competences nowadays considered as key to lifelong learning in accordance with their personal and professional expectations. The primary beneficiaries of the LIDIA project are trainers, social animators, social and educational staff, working in potential learning contexts, both formal and non-formal and based in Portugal, involved in the mediation and implementation of actions aimed at audiences typically more excluded from the information society, namely: professionals responsible for cultural, educational and social fields in local administration offices; private social institutions; cultural and recreational associations; museums; universities; senior day centers; teachers; etc. promoting a final seminar for the dissemination and sharing of good practices, and of the online community of practice, manual and e-Iearning training courses.